NOPE. NOPE. NOPE. < <– If that’s the first thing you think when you see a candy thermometer mentioned in a recipe, I get it. I’m not always a precise cook, and I don’t like to invest my time in difficult recipes that will flop if I throw in an extra grain of salt. 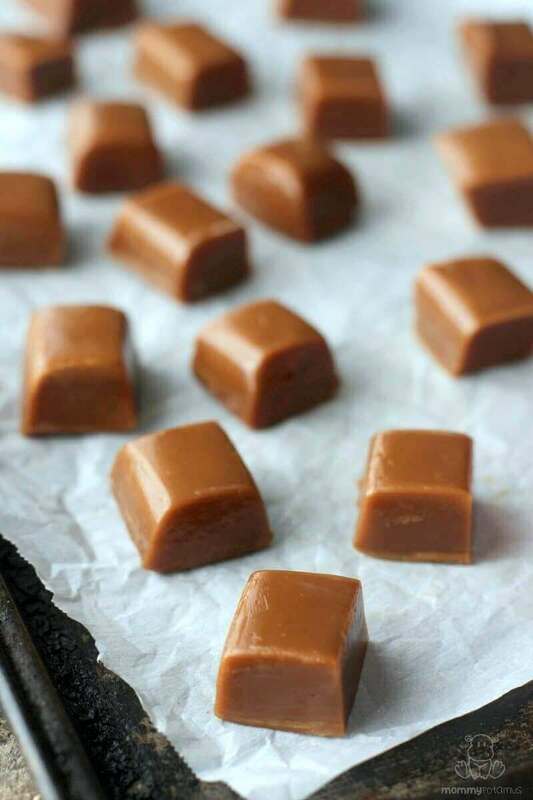 Here’s the deal, though: If you can count and stir, you can make these homemade caramels. Yes, you will need a candy thermometer, but I promise it’s easier than you think. 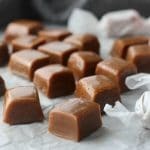 Unlike my pourable salted caramel sauce which needs some coffee ice cream or sliced apples to go with it, these softy, chewy caramels are delightful all by themselves. They can serve as a delicious base for caramel apples, but that’s a recipe for another day. 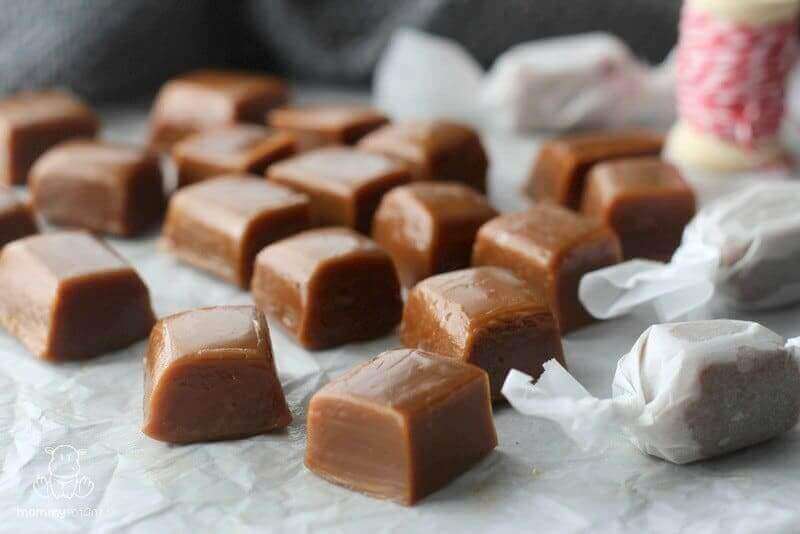 There is just one thing you need to do before making homemade caramels to ensure success: Make sure your candy thermometer is working properly. If it’s off, you could let your caramel mixture get too hot and accidentally scorch it. Ask me how I know. Now, you might be wondering . . .
How do I know if my candy thermometer is working properly? It’s very easy to check. Just bring some water to a rolling boil and place the thermometer in for 5-7 minutes. Make sure the actual thermometer is not touching the bottom or side of the pot, as this can affect the reading. Some – like the one I used for this recipe – come with a protective housing so that they can be clipped to the side of the pot without the actual thermometer making direct contact with the pot. I prefer to clip mine so I don’t have to hold it. At the end of ten minutes the temperature should read 212F. 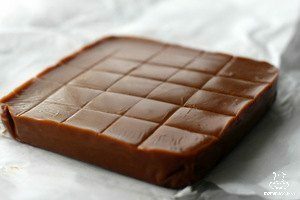 If it’s lower or higher, make note of how much it is off so that you can factor that in while you’re making the caramels. 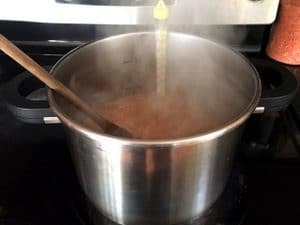 For example, if it’s ten degrees too high and the recipe calls for the caramel to reach 240F, you’ll know that your caramels are done when the thermometer reads 230F. Grease a small pan with butter and line with parchment paper. I use one of these 6x6 inch pans because I like my caramels to be thick, but you could use a bread pan or something similar. In a medium-sized pot, combine cream and rapadura sugar. The mixture will bubble up quite a bit so make sure there is a lot of room at the top, but you need the mixture to be deep enough to get a good reading with your candy thermometer. If possible, clip your thermometer to the side of the pot, like this. Not only does clipping it mean you don't have to hold it, it also ensures more accurate readings than placing the thermometer in and then pulling it out into cooler air throughout the cooking process. Bring mixture to a boil and then reduce heat to medium - I set my stove to just a little over the exact medium mark. Stir often, then when the mixture reaches 225F stir constantly until it reaches 240F to prevent the caramel from burning. In my kitchen, it takes about twenty minutes from start to finish. When the caramel reaches 240F, quickly pour it into your greased dish/baking pan and allow to cool to room temperature. Once the caramel is room temperature, pop it in the freezer for about five minutes to make it easier to cut. To cut, score the top with squares to make it easy to figure out exactly where to place your knife. 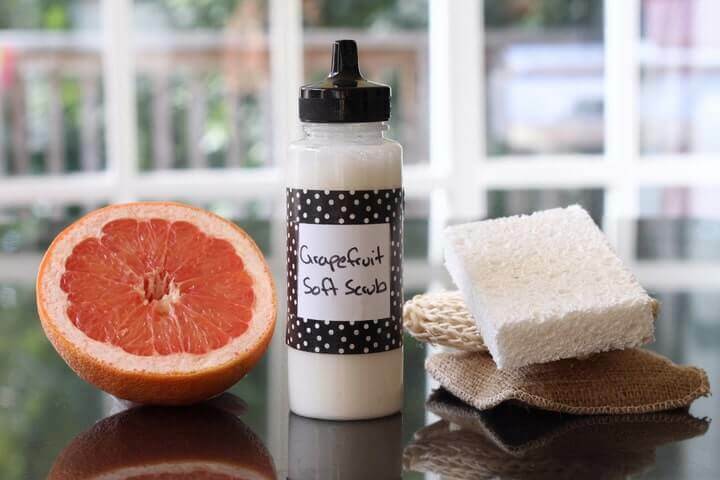 Next, fill a jar with hot water and place the knife inside - I use a butcher knife. Once the knife has warmed for about fifteen seconds, remove and dry it, then run it through a stick of butter to grease both sides before cutting. Cut the first strip you've marked and then continue with the other sections, cleaning and reheating the knife as necessary. 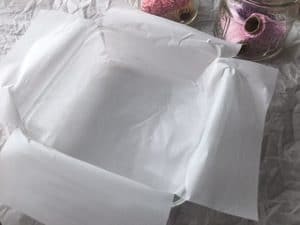 Wrap in parchment paper before storing. I store mine at room temperature if they'll be eaten within a few days. For longer-term storage I keep them in the fridge. Mmmm, yummy! These look good, and are right on time for holiday season! 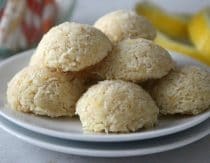 Can I use coconut cream versus heavy whipping cream? I haven’t tested them with coconut milk or cream so I’m not sure, sorry! I was wondering the same thing! 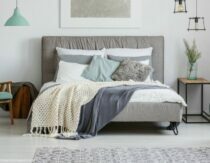 Please post results if you do! 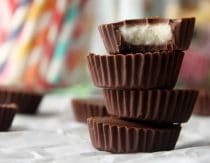 I have not tried this specific recipe with coconut cream, but I make similar caramels with coconut cream and it works great! Hi. You stated you have used coconut cream in this recipe. What did you use for the butter? I want to use coconut cream because we can’t use dairy. I make similar caramels using half honey and half coconut sugar. It may work for this recipe too! Does elevation factor in when calibrating the thermometer? I understand that water boils at a lower temperature at higher altitudes. Have you tried making Carmel apples with this recipe? This looks amazing and simple, a must try! Can I ask why it should be rapadura sugar? Can I use organic cane sugar? Looks like that’s what rapadura is made from…thank you!! This sounds wonderful. I’d love to try making them, and I wonder if I could use the coconut sugar that I already have on hand. Has anyone tried that? Thanks! I haven’t tested it so I can’t say for sure, but it might work. 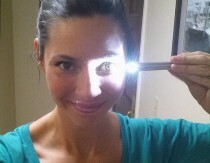 If you try it please let us know how it turns out! I’ve tried coconut sugar in a similar caramel recipe and it works just fine! What kind of whipping cream do you use? I just made these and they are so yummy! The whole cooking process took about 45 minutes from start to finish. I will definitely make these again. Thanks for such a simple recipe! Mine is very white. Wondering what I did wrong? It’s still very hot. Husband likes the taste so that’s all that matters right?